Trend Alert! 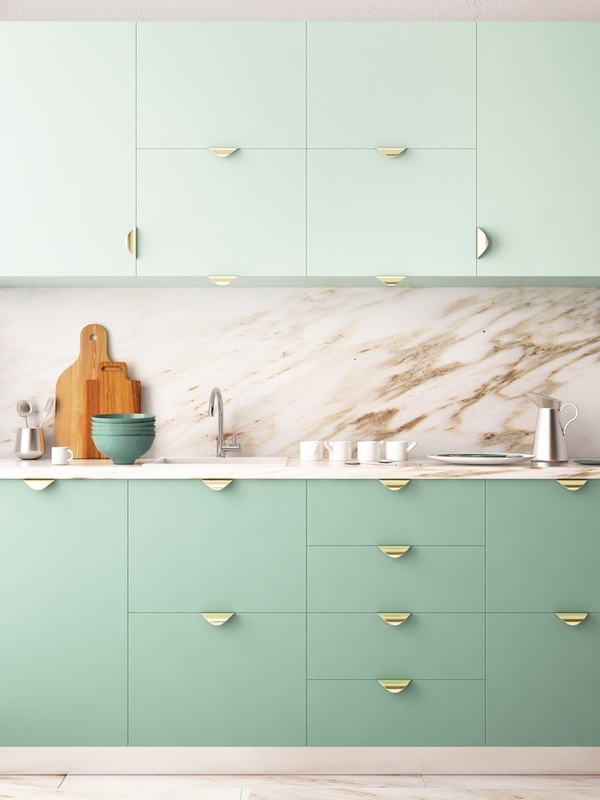 Would You Try Pastel Kitchens? 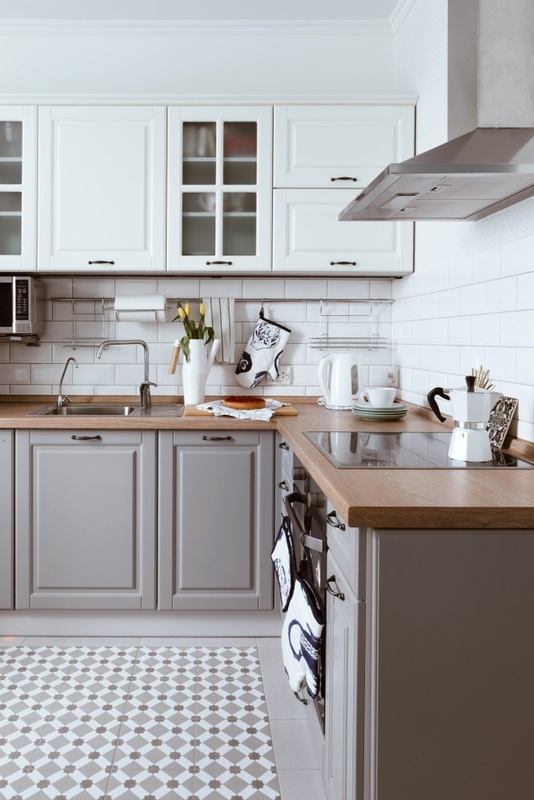 Would you like a kitchen that’s anything but white? Look at these and tell us what you think! There is a soft pastel trend this 2018, and it arrived in our kitchens. 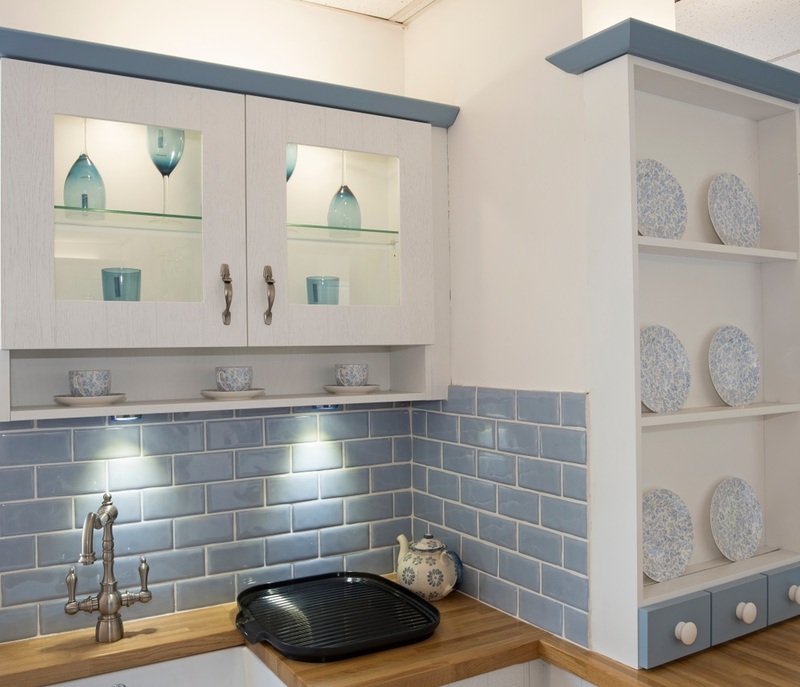 This year, a few clients came to us and asked our help in designing pastel kitchens. One of them wanted mint green. Others wanted soft yellow or millennial pink. This experience tells us one thing. There are people out there who want a kitchen that’s anything but all-white. In this blog, we will show you how to adorn your kitchen with candy-coloured elements. We will prove to you that these soft pastel colours aren’t just for bedrooms and living areas. You can use it in a high-traffic, busy kitchen. Why colour your world with pastels? We can see a few reasons why today’s homeowners consider soft pastel shades in their kitchens. For one, adding pastel colours are a nice update to all-white kitchens. Since pastel colours are soft, you won’t see a drastic change in your kitchen interiors. The effect is only subtle. Second, pastel colours look soft, expansive, and airy. Like white, but with life. When paired with neutrals, the colours recede and don’t overpower the space. Third, today’s pastel shades appeal to a wide range of ages and genders. It is not 100% feminine, cute, or childish anymore. Why? The pastel trend of 2018 opened a lot of grown-up and sophisticated applications of the colours. You can spot pastel coloured café and restaurant interiors, mobile devices, kitchenware, and furniture. People think it is gorgeous and unique. Soft pastels look tasty and sweet, somehow perfect for kitchens. So, don’t be afraid to use it there. In general, pastels aren’t bold and exciting. They are subtle and exude a calm and relaxed feeling. There are a lot more pastel shades that you can try apart from the colours mentioned above. Pair them with soft greys and other soft undertones of your chosen colour. Your kitchen will be perfect! In which styles do pastels work? Using pastel colours won’t confine you in a specific era or style. You are free to use it in any way you want. That’s how versatile it is. Mid-century style kitchens are rich in timber elements. Having cool tones, the pastels, when used as an accent colour, will counteract the warmth of the wood. Soft pastel colours work perfectly in a traditional-style kitchen. The homely vibe plus the candy-coloured accents will result in a 50’s cozy kitchen look. Add metallic elements like gold, brass, chrome, and copper. Their lustre will stand out against the classic kitchen architecture and a cotton candy coloured background. Choose a muted pastel shade to accentuate a neutral coloured, minimalist kitchen. Add a very little amount of it, enough to make the colour a feature element. The minimal soft colours won’t harshly contrast the white, black, and grey tones commonly used in minimalist kitchens. 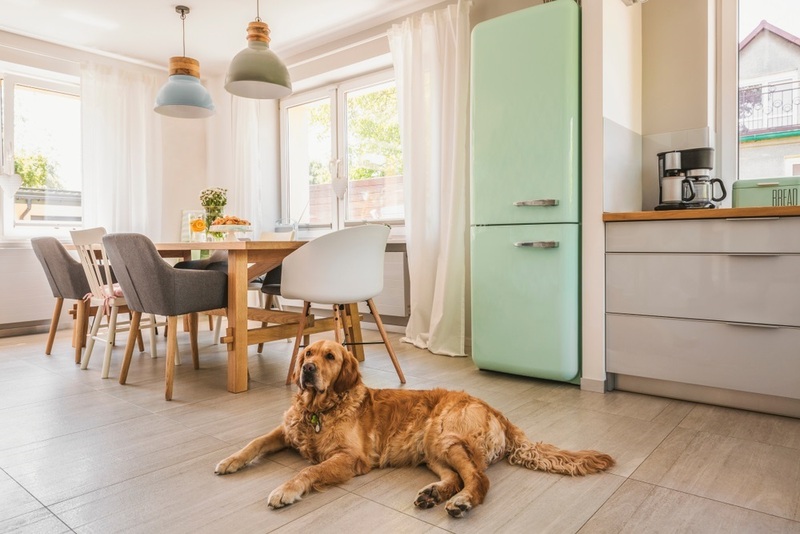 Defined by crisp neutral interiors and light timber elements, a Nordic style kitchen can accommodate some slight pops of colour. Keep the pastels to a minimum to avoid kitsch interiors. Which items should come in pastels? Walls: Painting your kitchen walls are the easiest and most affordable way to introduce pastel colours in the kitchen. Consider putting up pastel wallpapers too. Choose a wallpaper with kitsch and retro design. 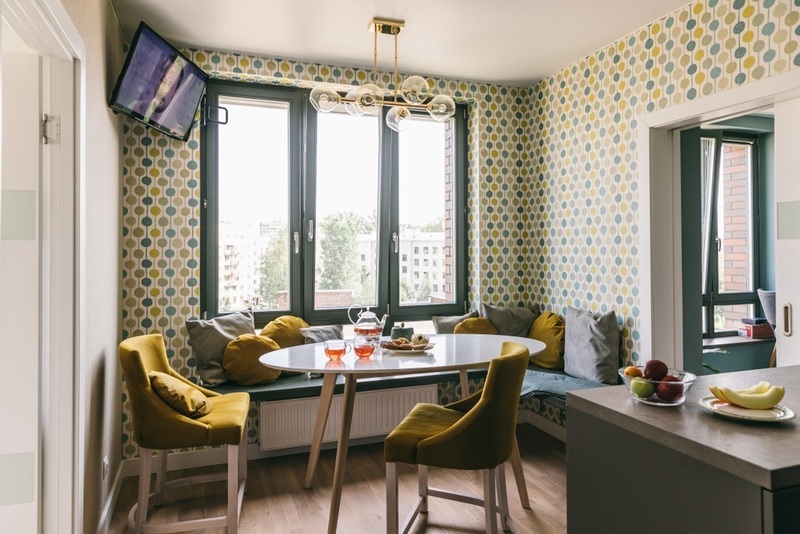 This way, the wallpaper will add an interesting element to your kitchen (and dining area). Tiles: If you’re still fond of neutral walls and countertops, consider laying pastel tiles as splashbacks. It’s not a daring change at all since splashbacks occupy a small area. 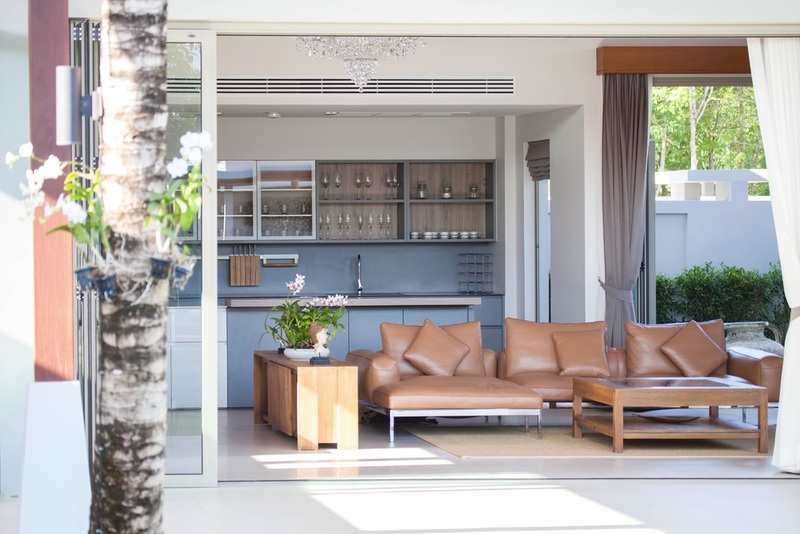 Surrounded with neutrals, the pastel colour serve as a feature element. Kitchen appliances and tools: Pastel appliances and products are not new anymore. If you go to brick and mortar stores, you’ll find a lot of pastel-coloured kitchen essentials on the shelves. There’s a wide range of colours available too. We personally like introducing pastels using a big-ticket item like the fridge. Smaller kitchen items like kettles, jars, pendant lights, and toasters are good too. Always consider the amount of natural light coming in your kitchen. The more daylight your kitchen receives, the better the pastel colours will look like. The more colour freedom you will have. Have fun with the colour combinations. Explore more pastel shades. Work with a designer who knows how to make a trend work for a long period of time. Pastels work well in kitchens with a lot of timber elements. Think of cabinets, open shelves, trims, or a butcher block benchtop. Regardless if those are made of solid wood, timber veneer or laminate, pastels will pair with it well. 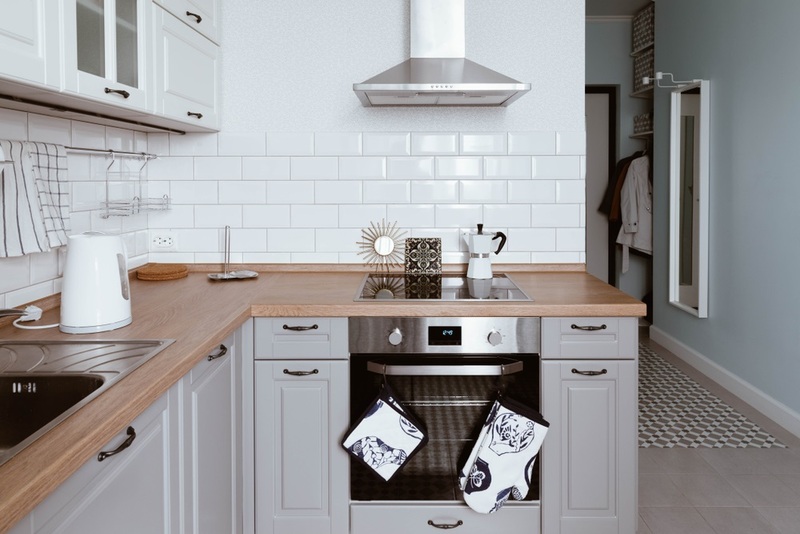 Find a kitchen designer from Melbourne. Superdraft has a team of skilled and talented designers who can help you create your dream kitchen. Get a FREE quote when you contact us today.